- what can I buy? 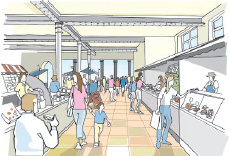 The Chichester Butter Market is ready for redevelopment. Stephen Baker and Derek Bond have created this site to give you a chance to examine their plans to restore the Butter Market to its original condition and function. We're very aware that Chichester has seen a number of redevelopments in recent years, which have often left nothing more of the original buildings than a shell or exterior façade. That is not what we want for the Butter market. The Chichester Butter Market has graced North Street for 200 years. 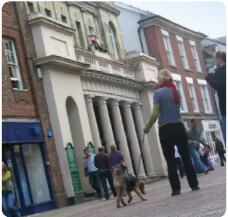 Look through the site and learn more about our plans to benefit local producers, consumers, and Chichester as a whole. We're proud of Chichester's past and we're passionate about its future. As you are. With your support we can realize the full potential of the Butter Market and make its heritage the vibrant heart of our city.